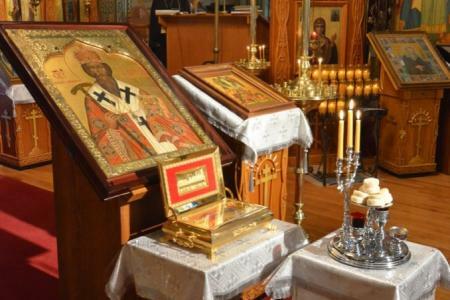 Patronal Feast of St Tikhon of Zadonsk Monastery, August 2013 (photo from St Tikhon’s website). These first visits occur during the Feast of the Nativity of the Theotokos, the Abbess of Monastics. I timed our crowdfunding drive to coincide with the Dormition Fast and Feast so as to place the project under her heavenly care and patronage, and now feel the Mother of God is truly guiding these first fledgling steps of the Thebaid Project. I hope to add a few more monasteries to this initial journey, and am available also to give presentations on the Thebaid Project to parishes in the region. Parish presentations have been an integral component of the Thebaid Project from its inception. I am honored to be represented by the Orthodox Speakers Bureau for bookings, and invite you to contact them to learn more and to schedule an event. Watch for more news in the days and weeks ahead, and as always, thank you for your prayers and support for the North American Thebaid Project!